Long before the tragedy of the ill fated Titanic was the sinking of the Forfarshire. Like the former, the ship was considered one of the greatest of Northern steamships. It had left Hull for Dundee in Scotland on September 7th 1838 with a large quota of wealthy passengers, mainly merchants and their wives returning from holidays in England. The ship left in good weather but on its way up North suddenly ran into a terrible storm. 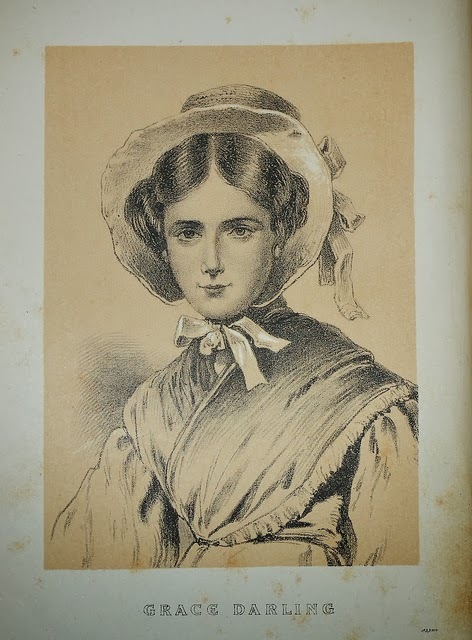 Grace Darling was the twenty two year old daughter of William Darling whose family had been lighthouse keepers for many years. In those days the keeper lived on his light with his family, a strange, wild, lonely existence. 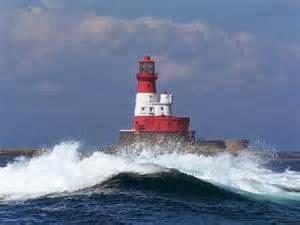 This was especially the case here on Longstone Light, set on one of the windswept, rugged Farne islands off the coast of Northumberland. The situation was so bleak and wild that the family were often driven to the upstairs rooms to escape the crashing waves at the base of the Light. There was plenty to do, spinning, cleaning, gathering sea bird eggs to eat or catching birds when possible, fishing, books to read and the family members were used to their quiet life. During the early hours of the morning of the 8th September, Grace climbed up the stairs to the lantern after a Night Watch and saw a large black hulk on the distant rocks. She wasn't sure if there were people on the wreck but couldn't rest easy unless they went out to see. Her father told her it was impossible to take their small boat out in this foul weather; they themselves would be dashed to pieces on the jutting rocks. It normally took three men to row it in bad weather and Grace's brothers were on the mainland at that time. Grace may have been a small girl but she was also a brave one and said she'd take the boat herself. her father reluctantly agreed to go with her. 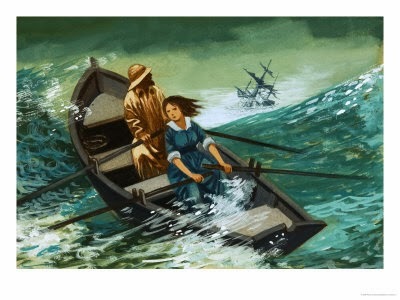 Dressed in her normal muslin dress with just a small cape, her father in his seaman's clothes, they set off and on reaching the rock they found the unhappy survivors clinging desperately to the hulk and fighting to reach their little boat. They took as many as they could and then returned again and took the rest of the people back to the lighthouse and safety; it was an incredible feat. From then on Grace was lionised and made the heroine of the nation. But hers had been a quiet life on the light and she felt she had done nothing special. 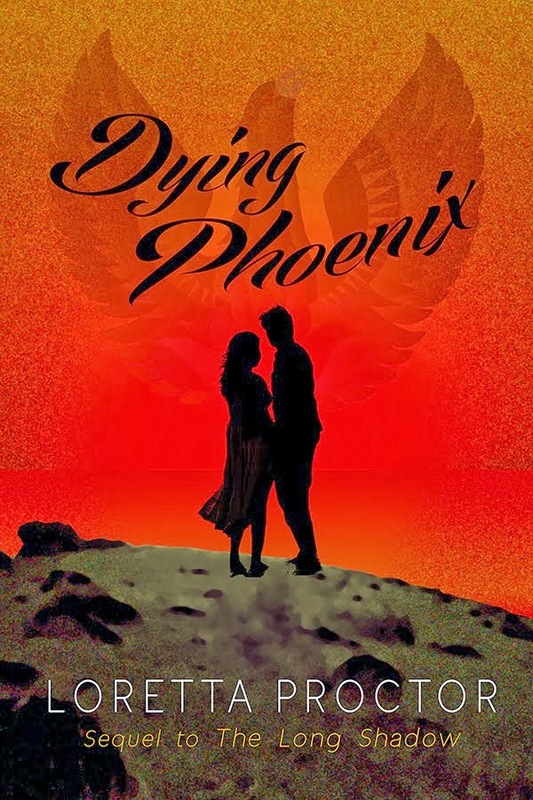 Her father had, after all, saved countless lives himself and his father before him. However, Victorian society was as silly over its celebrities as we are today and endless portraits were made of Grace, locks of her hair requested. She was given a small annuity and a silver gilt watch but the promiised silk dress never arrived...and she had always longed for a silk dress. She died at the age of twenty seven, exhausted by the attention and the loss of her peaceful existence.